Everyone would prefer to have clean, germ-free houses. However, people also don’t want their cleaning products causing more health problems than the germs. With all these cleaning products on the market, it can be difficult to determine products actually worth your while. If you’re worried about your health and the environment, you may shy away from harsh chemical cleaners. Natural cleaners are the sensible alternative. However, many brand name cleaners slap on natural labels whether or not they are natural. Worse, truly natural cleaners are often not even advertised as such. So, how do you chose the best natural cleaning products? What are Truly Natural Cleaners? Do Natural Cleaners Work as well as Chemical Cleaners? Chemical cleaners use harsh and often harmful chemicals. Hence, these products are not often easily biodegradable. Some brand name cleaners claim to be natural because they use ingredients found in nature. But almost all brand name natural cleaners used some chemical process to obtain their product. Cleaners with “organic” labels are better. But be aware even these are not guaranteed to use any chemical processes. However, these cleaners are often biodegradable and contain fewer chemicals than their chemical-cleaner cousins. Truly natural cleaners often don’t claim to be household cleaners. In fact, they may be simple household staples. These products have not been chemically processed to kill bacteria or fight grease. However, they naturally do the job without any artificial help. You likely have a few natural cleaners in your house right now and don’t realize it. Natural cleaners are useful for many household tasks. Instead of having different cleaners for your countertops, floors, and windows, you can just have one cleaner for everything. In fact, you can use some household cleaners for other things, like cooking. You can combine natural cleaners to create more potent or task-specific cleaning supplies (like laundry detergent). Combining commercial cleaners, on the other hand, can cause serious health hazards. Natural cleaners are free of toxic chemicals and mystery ingredients. Chemical cleaners have little to no regulations and can contain many chemicals harmful to humans. Natural cleaners don’t often have health risks. For example, Borax can irritate your skin, but it is not classified as dangerous. Minor exposure to chemical cleaners is unlikely to hurt you, but prolonged exposure has serious health risks. Natural cleaners are often cheaper than chemical cleaners. Natural cleaners are better for the environment since they don’t have a bunch of chemicals. Some chemical cleaners, however, take 1000 years to biodegrade. Chemical cleaners get things clean with very little effort. Natural cleaners may take a bit more elbow grease, but they get surfaces as clean as the chemical cleaners. In fact, sometimes they clean better because they don’t leave chemical residue behind. Although all natural cleaners may not be able to kill bacteria, they all remove it. In fact, studies show that very strong disinfectants, like those in chemical cleaners, may lead to serious health problems. 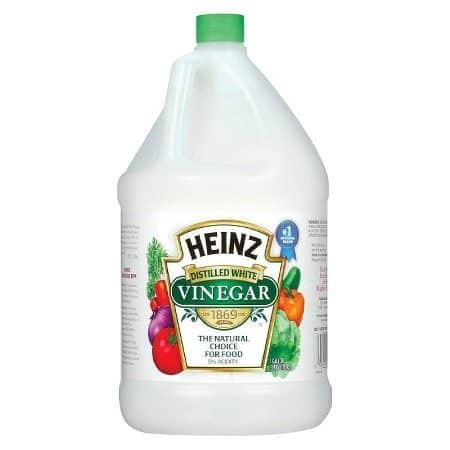 White Vinegar is one of the most versatile natural cleaning products out there. Together with baking soda it is easily the best natural cleaner for home cleaning. Vinegar is an acid, but it is mostly harmless. It occurs naturally when plants ferment. Any white vinegar sold in a store is diluted, so it is safe to consume. Removes mold and mildew. Used as base ingredient for any homemade vinyl siding cleaner. Does not leave a residue after use. Baking soda is a very versatile staple product. In addition cleaning, people use baking soda in baking and to put out grease fires. Also, when mixed with water, it settles an upset stomach. Baking soda is an alkaline or a base that can dissolve in water. This is why it works on your stomach and on fires. 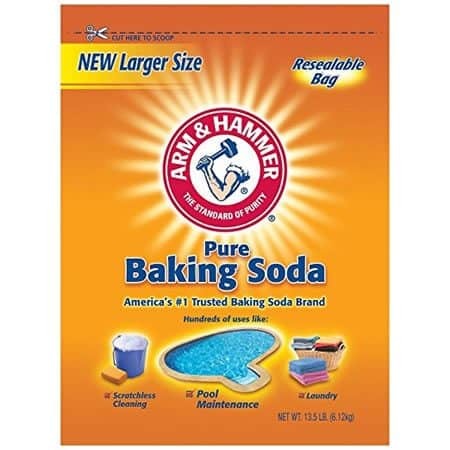 Arm & Hammer baking soda contains no additives, although some brands do. Sprinkle on to carpets, clothes, or other surfaces and in litter boxes, trash cans, and ashtrays to deodorize. You can place an open box in the fridge. Unclogs drains when used with vinegar . It is one of the best natural drain cleaner solutions. Detangling effect on hair and to when you wash a wig. 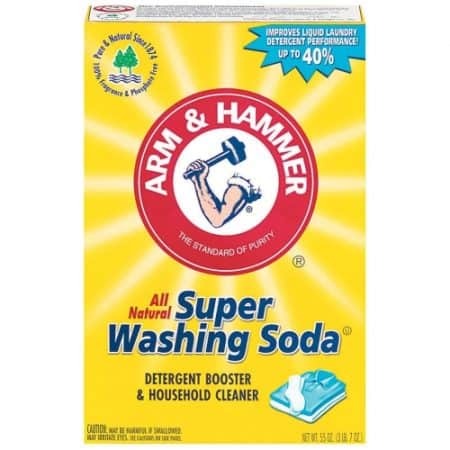 Unlike baking soda and vinegar, washing soda is marketed as a household cleaner and a detergent “booster”. Washing soda is a stronger alkali than baking soda. Although washing soda is safe and natural, it is not safe to eat. It also isn’t as gentle on skin as baking soda. Hence, the only use for washing soda is in cleaning. Borax is a salt found in dried lake beds. Although it is not safe to consume, it is no more harmful than many other natural ingredients. Both commercial and homemade recipes for cleaning products use Borax as a primary ingredient. 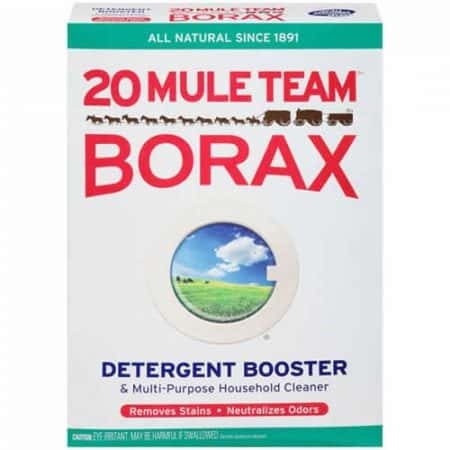 This makes Borax one of the best base ingredients for cleaning products in general. Borax does not have the same chemical composition as boric acid. Therefore, boric acid’s dangers do not transfer to Borax. Safe for you and the environment (Dial’s safety sheet compares Borax to salt and baking soda in terms of danger). Key part of homemade slime and other crafts. 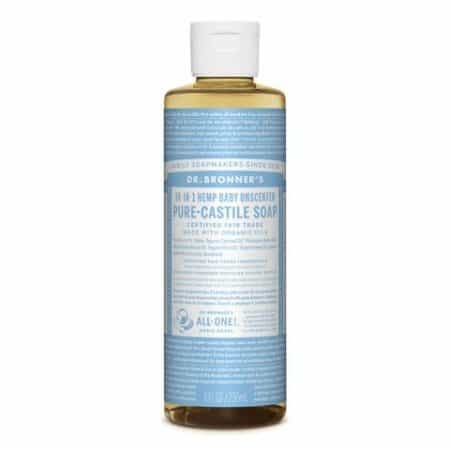 Castile soap comes in solid or liquid forms. It is made with vegetable oils so is often gentler on skin than other soap. Dr. Bonner’s is known for organic cleaning and personal hygiene products. Used for shaving, hand and body washes, and shampoo (with vinegar as a rinse). 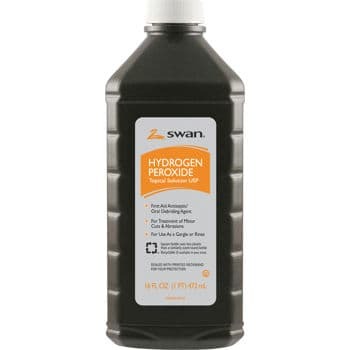 Hydrogen Peroxide is often used as an antiseptic. People also use it for bleaching materials and even to make rocket fuel. But any store-bought bottle is very diluted (usually 3%) and so is safe. Hydrogen Peroxide occurs naturally, even in the human body. Can discolor darker carpets and clothes. Like hydrogen peroxide, Isopropyl Alcohol is often marketed as a disinfectant. It is mostly the same as rubbing alcohol, but rubbing alcohol has a concentration of 70%. 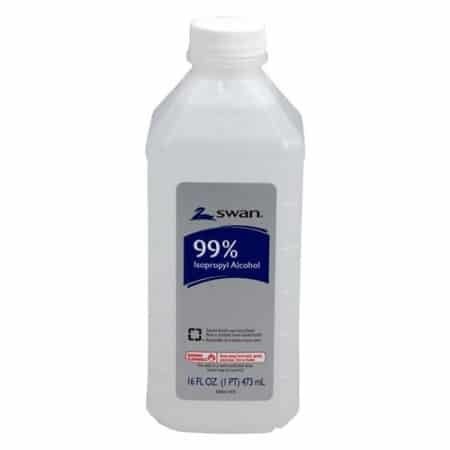 Isopropyl alcohol’s is 99%. Safe for mobile phone screens, to clean laptop screens, keyboards, and CDs. 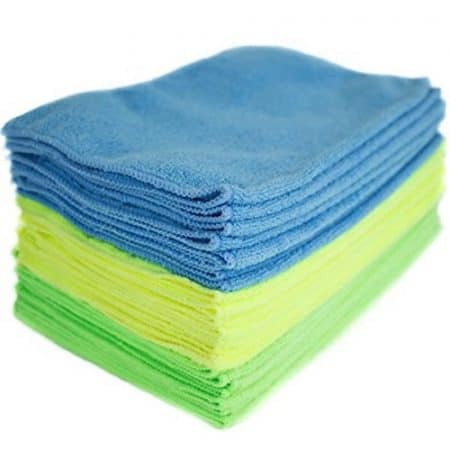 Zwipes is a brand of ultra-soft microfiber cloths. They are on this list because they do not contain any harsh chemicals and do not require any to clean. They are an environmentally conscious alternative to paper towels. Although extra virgin olive oil is often just thought of for cooking, it can be used to clean as well. 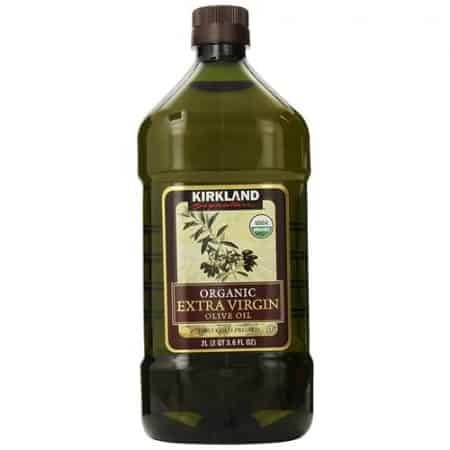 Certified organic olive oil, like Kirkland’s, ensures that the olives were grown without pesticides and harsh chemicals. Thus, you can be confident the olive oil you are buying is actually natural. Extra virgin olive oil is often more pricey than other natural cleaning options. Club soda is just carbonated water that has some salt (and other minerals) added to it. It’s often used in mixed drinks or occasionally as a stand-alone drink. It is a stain remover. Club soda is safe and more or less just bubbly water with extra minerals your body uses anyway. 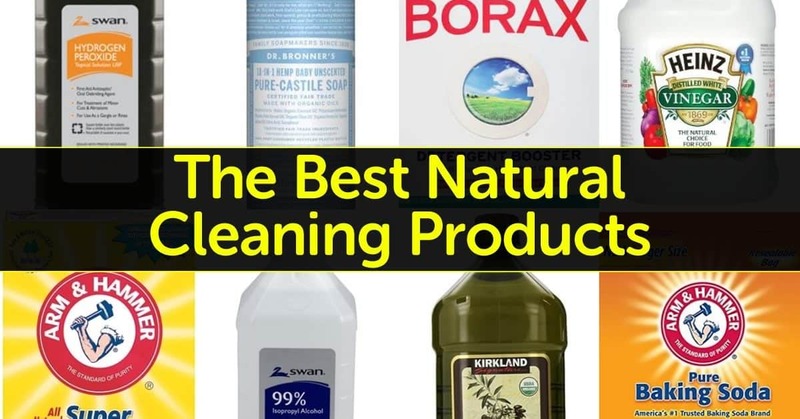 Every natural cleaner on the list is worth trying out. However, distilled white vinegar is the most versatile and the overall best natural option for general household cleaning products. Vinegar, especially when combined with baking soda can clean, shine, and deodorize almost everything. It can disinfect as well as clean, and it’s cheap. Many homemade natural cleaning products use vinegar. Best of all, vinegar doesn’t leave stains, like olive oil could, and leaves no residue to clean up, like commercial cleaners or baking soda.